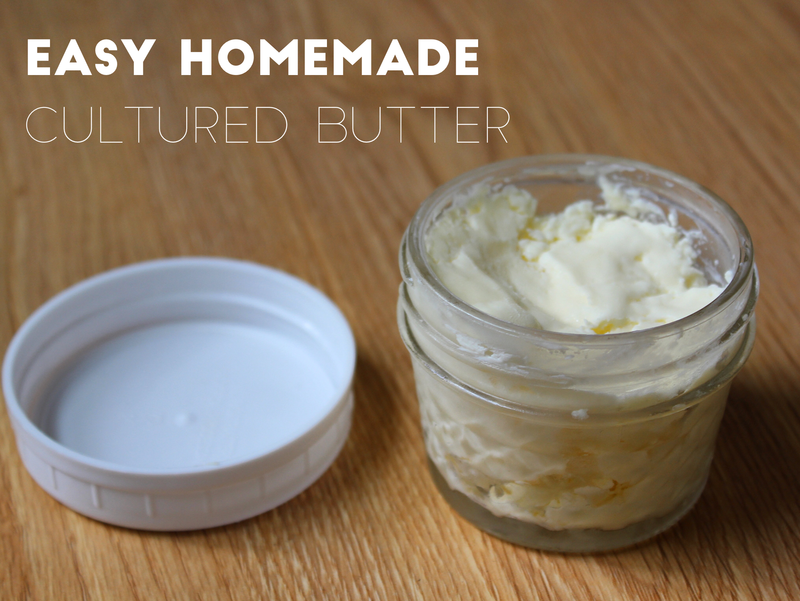 Making cultured butter at home is ridiculously easy and the finished product tastes amaaazing. I never tried cultured butter until recently, and now I’m hooked! The culturing process may look like a science experiment gone awry, but trust me – the end result is absolutely delicious. 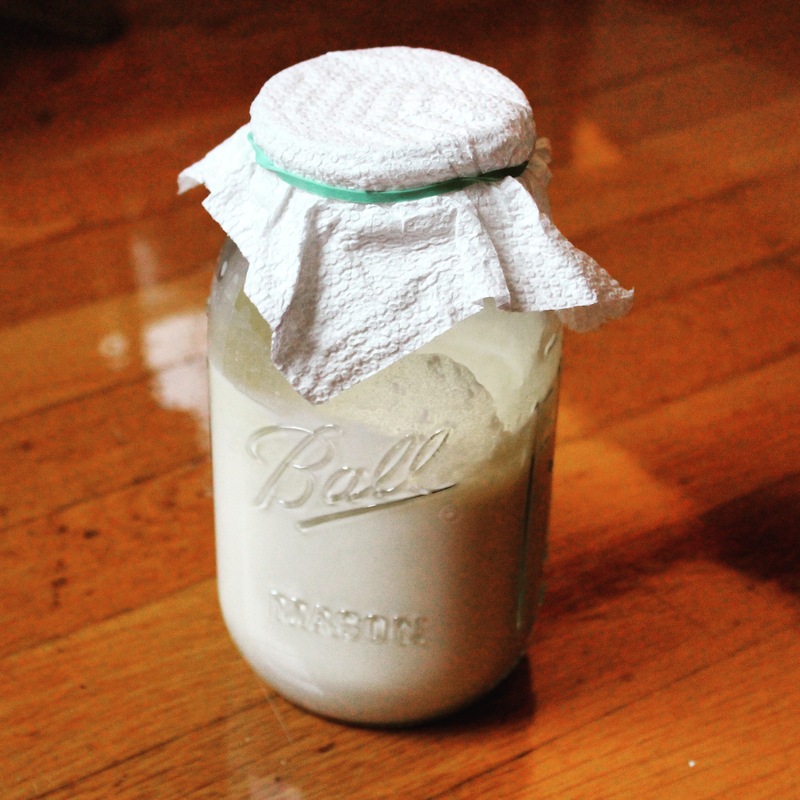 In a mason jar, add 1 tablespoon plain yogurt per 1 cup cream. Stir well to combine. Cover jar with paper towel and use rubber band to secure. Place jar in a warm spot in your home for 12-18 hours. I find that placing it on top of a slightly warm electronic device, such as a cable box, works very well. You will know that your mixture is ready for a the next step once it thickens and sticks to the sides of the jar. What you will have in your jar at this point is actually creme fraiche. 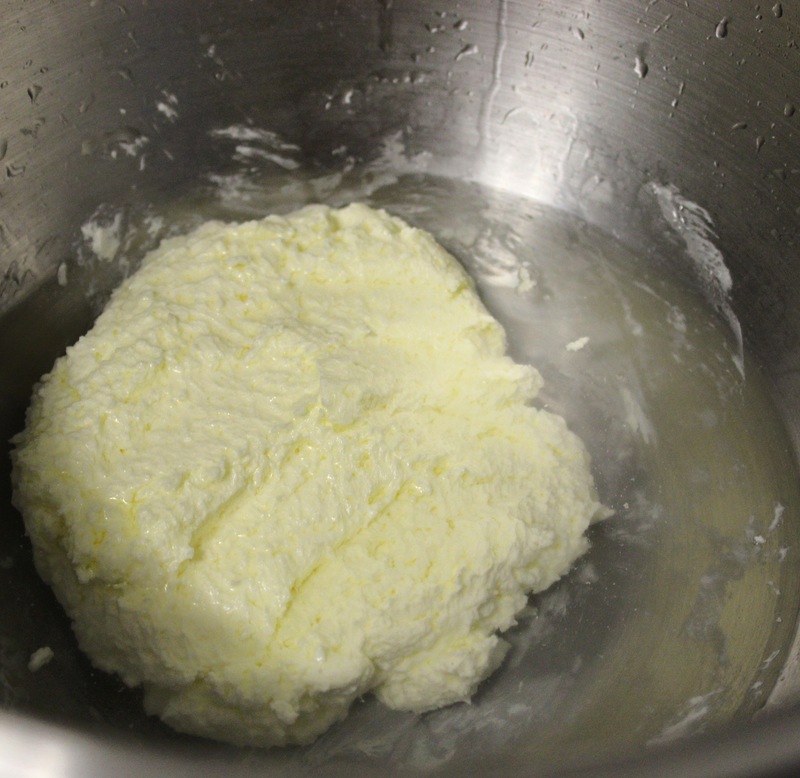 The next step is to separate the buttermilk from the cultured butter. Mix at medium speed for 3-5 minutes, until solid butter forms. 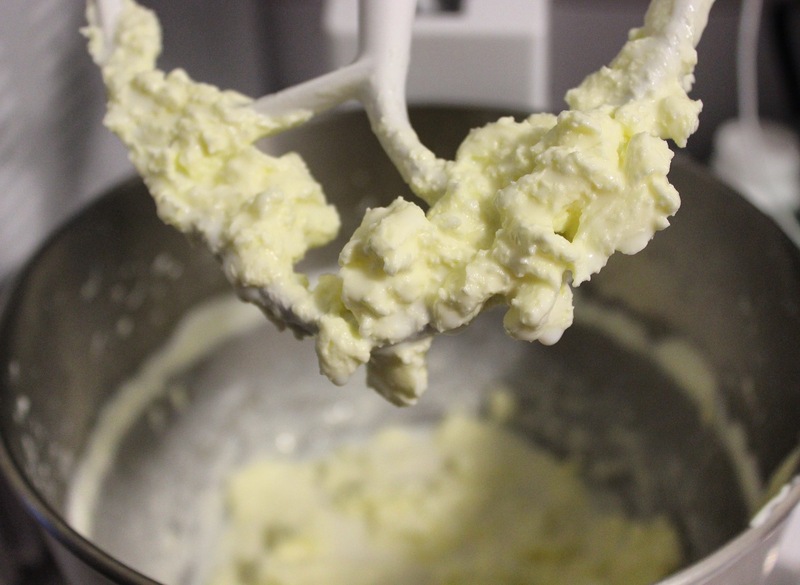 Warning: this step can be messy and buttermilk tends to splatter in the process! Drain the liquid buttermilk from the bowl – but don’t throw it out! You can use the buttermilk in a variety of baked goods or even homemade ranch dressing. 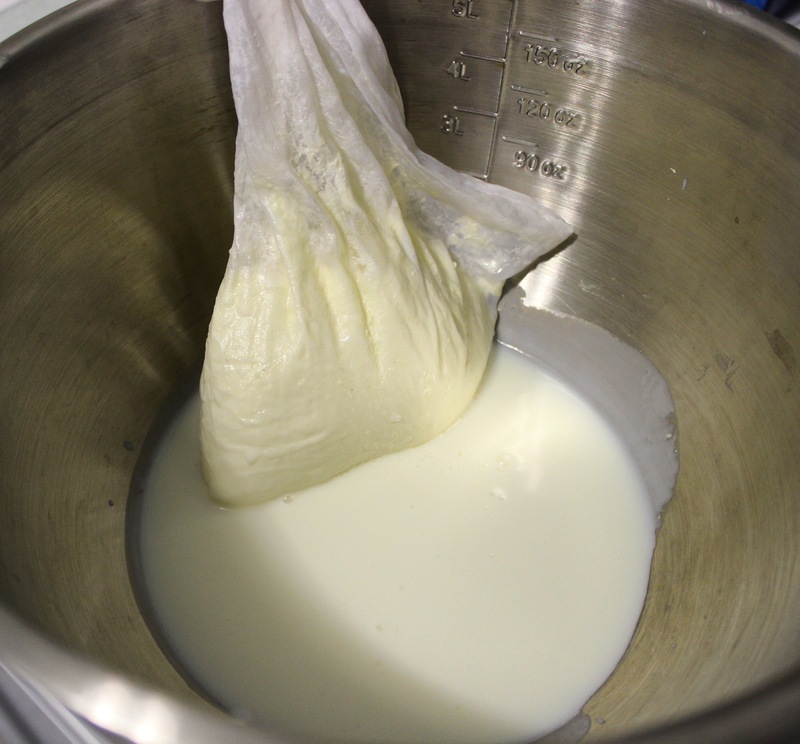 Put the cultured butter into a mesh nut milk bag or wrap in cheesecloth for the next step. Rinse butter with ice cold water multiple times and gently squish butter with a spoon to squeeze out any remains buttermilk. You’ll know all the buttermilk is gone once the water stays clear after rinsing. Now your cultured butter is done! Place in an airtight container and store in the refrigerator. It is good to learn how to make butter! Thanks for sharing.